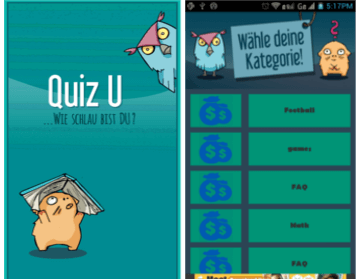 Test your intelligence and your general knowledge with QuizU. 11 categories- packed with exciting quizzes. No annoying level without waiting for opponents. Just get started and quizzes. Receive in each category a personal high score. The faster you answer a question, the more points you‘ll get.